Make an appointment to speak to the expert on small business and entrepreneurial ideas. Learn More about eCurtain Media's Director. 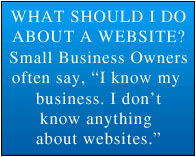 He understands both business and business websites. on creating and maintaining effective business websites. Clear answers to questions about planning, designing, and maintaining small business websites that increase profits. eCurtain checks your website for free. Is it working for you or costing you customers? You've heard the term: SEO. Do you understand its importance? eCurtain clearly explains it. We can do it for you the right way. eCurtain Media clients lower their small business website costs and increase profits. 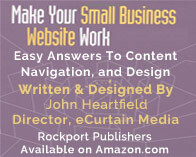 Make an appointment with John Heartfield for a free 30-minute small business website success evaluation. 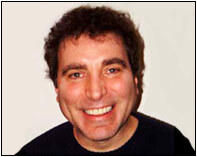 John will provide easy-to-understand tips to guide you to small business success on the web. There's no obligation and no sales pitch. John has been helping businesses save money for more than 20 years. He'll give you website tips that sound like English, not technology babble. Small business owners often pay too much for web services and get too little for their money. 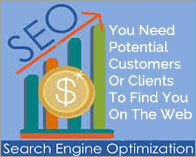 Your business website has to appear on Google and all the major search engines. Search Engine Optimization (SEO) is essential if it's done the right way.Big "Website Factories" and "Search Engine Companies" can charge big fees and not deliver on their promises. eCurtain Media specializes in helping small business owners understand how to get the most profit from the least investment. eCurtain Media only builds websites for a select group of clients. Each one is personalized to the client's needs and budget. eCurtain Media advises you on all your small business marketing tools - from your business cards to your web address (www.MyBusinessWebsite.com) to your selection of an Internet hosting company. Roll over the image to PAUSE the slide show.